In truth, Somali cats are Longhaired Abyssinian cats. Originally, these domestic cats were considered the 'unwelcome produce' of a recessive gene in the Abyssinian cat. 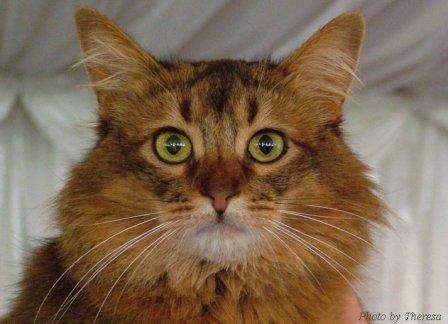 It is unclear how this recessive gene found its way into the Abyssinian gene-pool. 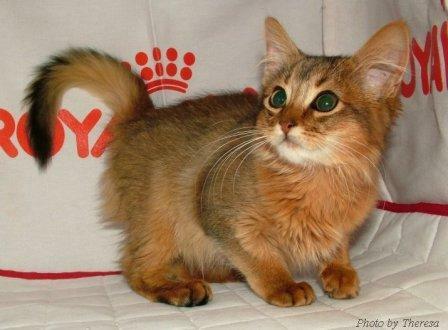 It is thought that is was introduced many years ago by crossing the Abyssinian Cat with and Angora or Persian Cat. Irrespective of how it was introduced, the results are a striking! 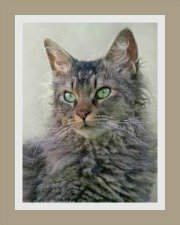 In the early days when longhaired foxy-looking kittens appeared in Abyssinian cat litters, cat breeders would neuter the kittens and sell them as pets. 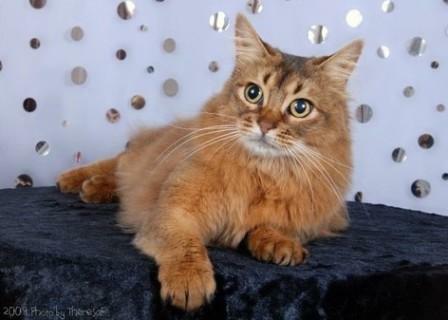 In the early 60's, Jean Robertson's Abyssinians regularly produced longhaired kittens that found their way to the Canadian breeders, Don Richings and Ken McGill. They started a breeding program with these cats. Richings later teamed up with Mary Mague, an American cat breeder who was developing longhaired Abyssinians which she named Somali cats. The breed was finally recognized during the late 70's. 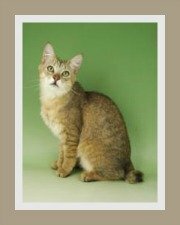 The Somali obviously has similar characteristics to their 'parent breed', the Abyssinian cat. 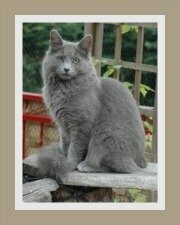 It is a medium to large cat, with a muscular, flexible body and long thin graceful legs. The Somali's tail is probably its most distinguishing feature, being broad at the base and tapering at the end with a full brush of long fox-like hair. Its head is triangular or a rounded wedge-shape with a well developed muzzle and chin. The cat's ears are large, slightly pointed and often has lynx tips. An interesting marking seen on the Somali's face are the two vertical black stripes that form an 'M' on the forehead. Its eyes are large, bright, expressive and almond-shaped. The skin on the inner lids of the eyes are black, resulting in an eye-liner look with lighter fur encircling the eye that further accentuates those beautiful amber, green or gold-colored eyes. The Somali's double coat is fine, but dense and the texture is soft to the touch. The coat is semi-long on the belly, chest, flanks and back and long on the ruff, britches and tail. On the shoulders the fur is slightly shorter. These cats have an agouti or ticked coat which means that each hair shaft has alternating bands of light and dark colored bands. 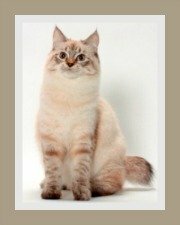 What makes this wild, ticked pattern unusual is that ticked coats are not common in long haired cat breeds. 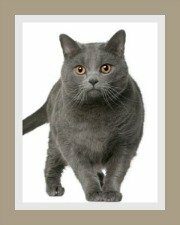 The coat colors that are permitted varies between cat registries. The Cat Fanciers' Association (CFA) and FiFe accept only 4 colors. The Governing Council of the Cat Fancy (GCCF) and South African Cat Council accept a much wider range of colors. The ground coat is a rose-beige color with light cocoa-brown ticking. The ground color is a burnt-sienna and the ticking can range from black to dark brown. The ground color is a rich and warm red with chocolate brown ticking. There are various silver varieties. All have a white ground color. Black Silver has black ticking; Sorrel Silver (chocolate ticking); Chocolate Silver (dark chocolate ticking) and Blue Silver (slate blue ticking). It is the perfect cat for a household with children and other pets of equal energy, but generally not suited to the elderly as they do tend to get under your feet. Whilst apartment living is not ideal, they will adapt provided there is ample room for them to run and exercise. They enjoy hunting and an enclosed, escape-proof yard would probably be more suitable for this cat breed. Somali cats tend to be less boisterous and demanding than Abyssinian cats. 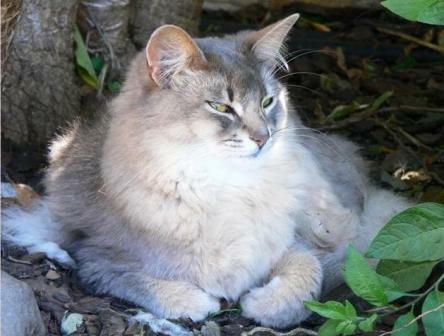 They are even-tempered, alert, people-orientated cats and are sociable towards strangers and other animals. These longhaired cats are quiet with soft voices which they seldom use. Somali are gentle and affectionate cats, yet lively, active and playful cats. They need a fair amount of space as they tend to have frequent bursts of energy where they run sideways, their tails and backs arched like monkeys. They find the game of fetch most appealing and like their parent breed, prefer it if you do the fetching. Their toys amuse them for hours. Another idiosyncrasy of this beauty is their 'hairdressing' syndrome, where they enjoy sitting on your shoulder and licking or flicking your hair! Somali are highly intelligent and mischievous and have been known to open cupboard doors and faucets. If you're looking for brains and personality.......then the Somali cat breed is it! Even though the Somali cat is a semi- to longhaired cat, it requires limited grooming and shedding is minimal. 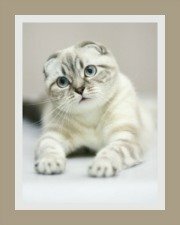 Brushing your cat twice a week will avoid matting and will keep the fur in good condition. Vaccinating your cat against the common infectious feline diseases is also critical. This cat does not need a special diet, but you do need to feed your cat a healthy, well balanced diet. Water and not milk is also an essential part of your cat's diet. Their weight varies between 2.7 kg - 5.5 kg (6 - 12 lbs), the females being lighter than the males. The average life span of these cats is between 9 and 15 years.